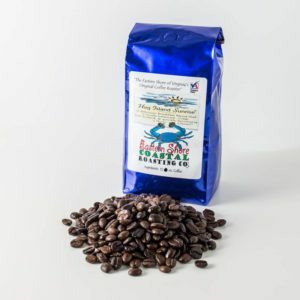 Ethiopia Yrgacheffe | Eastern Shore Coastal Roasting Co. This distinctive African coffee is grown high in the mountains of the Sidamo region. We love this for its unique taste–remarkably soft, smooth, & rich. More on the delicate side with medium body & good balance. Look for a wine-like, almost flowery taste & aroma.